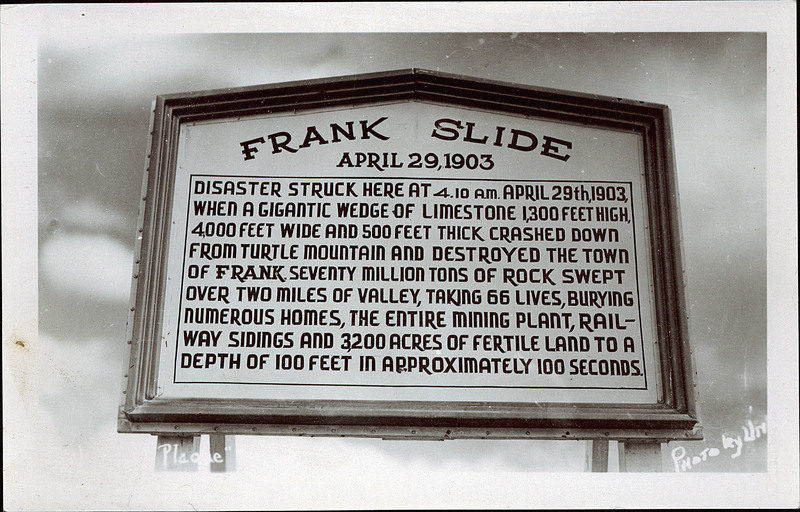 Description: Information sign regarding the Frank Slide, near Frank, Alberta. PC003668: "[Frank Slide]" is licensed by University of Alberta Libraries under the Attribution - Non-Commercial - Creative Commons license. Permissions beyond the scope of this license may be available at http://peel.library.ualberta.ca/permissions/postcards.html.